"That is ridiculously fast," OPP Sgt. Kerry Schmidt said. Provincial police are asking drivers to slow down after ticketing two people for driving at more than 220 km/h within hours of each other. The first instance occurred Thursday afternoon in Whitby. An officer clocked at a 20-year-old man going 227 km/h on Highway 401, according to Sgt. Kerry Schmidt, spokesperson for the OPP's highway safety division. "That is ridiculously fast," Schmidt said in a video posted to his popular twitter account. Then, at around 1 a.m. Friday, a 19-year-old man from Oakville was pulled over for travelling at 254 km/h in a 100 km/h zone. That incident happened on westbound Highway 403 near Eglinton Avenue in Mississauga. Both drivers had their licences suspended for seven days and their vehicles, both BMW sedans, impounded for the same duration. "Unfortunately, we see far too many people taking chances, taking liberties on side roads and industrial roads and commercial roads, or on the highways — going way too fast," Schmidt said. 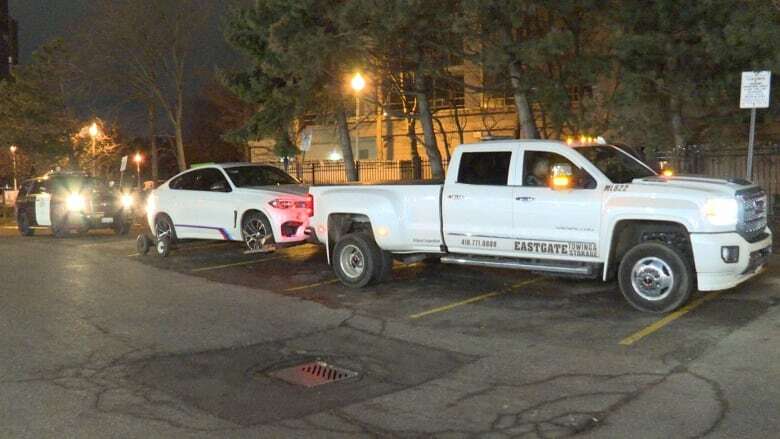 He added that in the GTA so far this year, more than 450 vehicles, or about six vehicles per day on average, have been impounded after drivers were charged with street racing. Of those drivers, 206 were men aged 18-25 years old, while 98 were men aged 26 to 35.